Product #5218 | SKU A55HM | 0.0 (no ratings yet) Thanks for your rating! 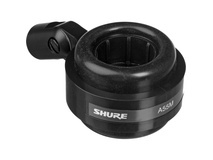 The A55HM Snap-In Shock Stopper from Shure is a half-mount isolation mount and swivel adapter. 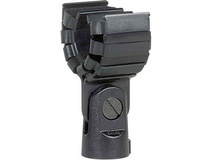 The mount has standard threads for use with a variety of mic stands and boom arms. 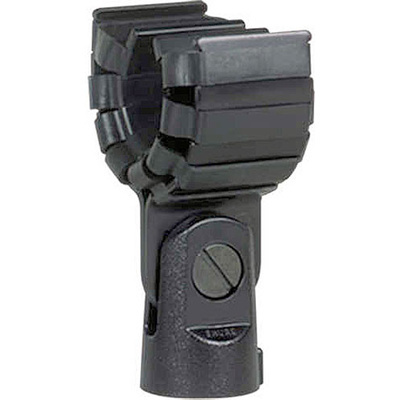 The half-mount design provides quick and convenient mounting and unmounting of microphones, and the built-in elastics provide isolation from unwanted vibrations. The mount is compatible with virtually any tapered microphone, including the SM57, SM58, SM86, Beta 57A, Beta 58A, and Beta 87C.